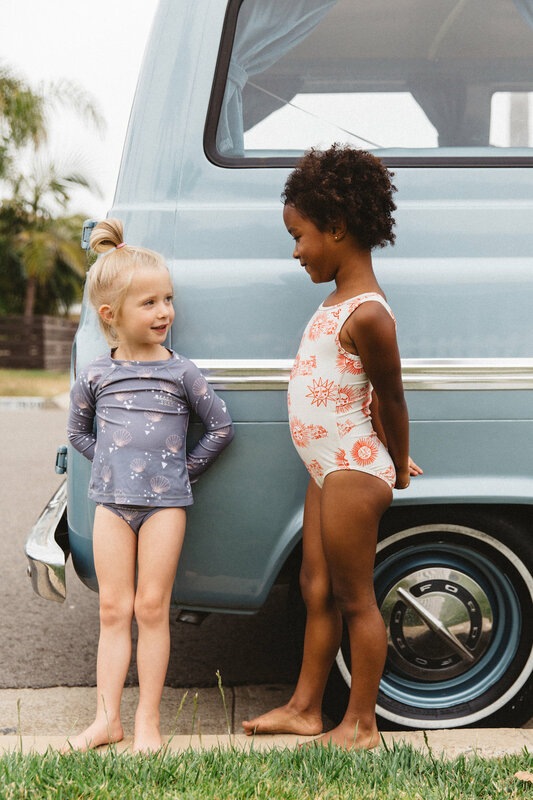 Our favorite kids swimsuits are here for the summer! Seaesta Surf is a line I helped create because I couldn't find any boardshorts I liked for our son. I find that most boardshorts are too bulky, baggy and long and not only do they look kinda goofy and too big, but they're just uncomfortable for kids to run around in, especially once they get wet. We designed boardshorts that are a slim, shorter cut. They fit great and are SO much more comfortable to play in. 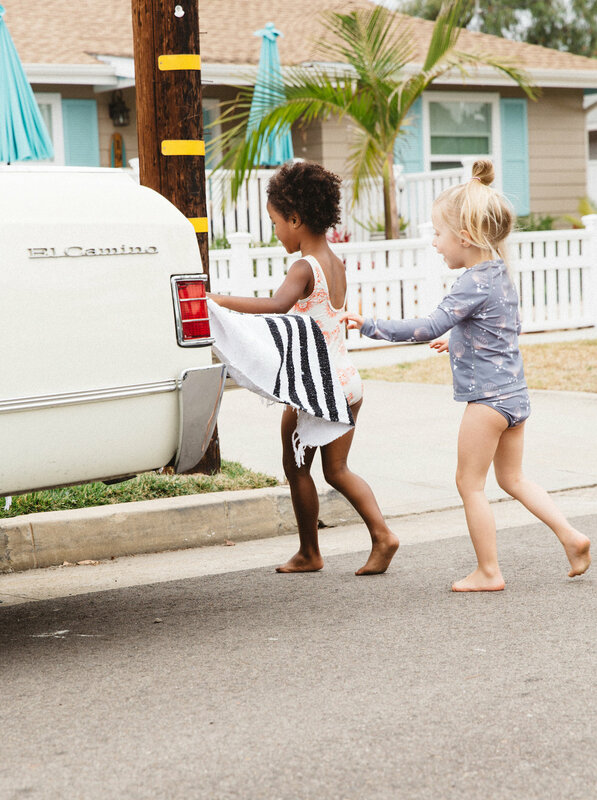 They dry quickly so they're perfect for long days at the beach or pool. Plus we work with some rad artists to create the cutest graphics. 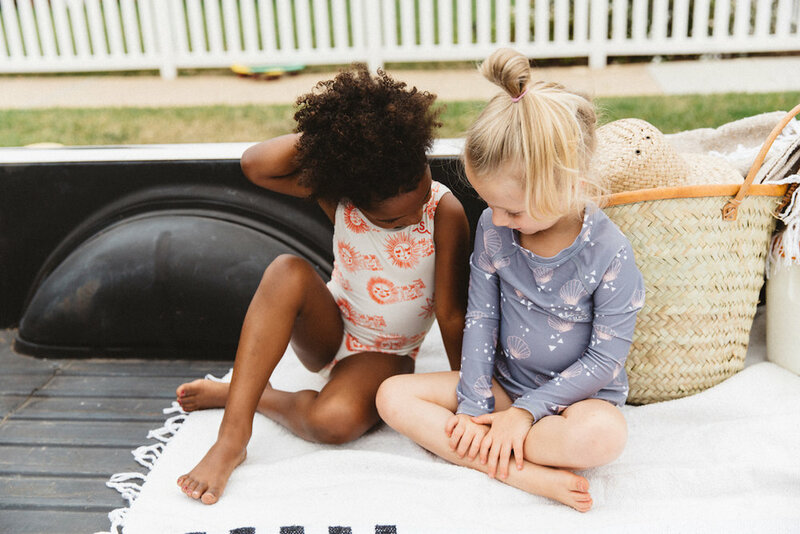 Then last year when I had my daughter, I started looking around at the bathing suit options for girls and found that it was hard to find something with a good quality fabric that wouldn't slip off and stretch out when playing in the water. Plus, I found that a lot of the girls bathing suits were too revealing for my taste. So we created these great, full-coverage suits that are made of thick Italian fabric. We worked with a couple of really great artists for these suits again this year and are stoked on how cute these designs are. 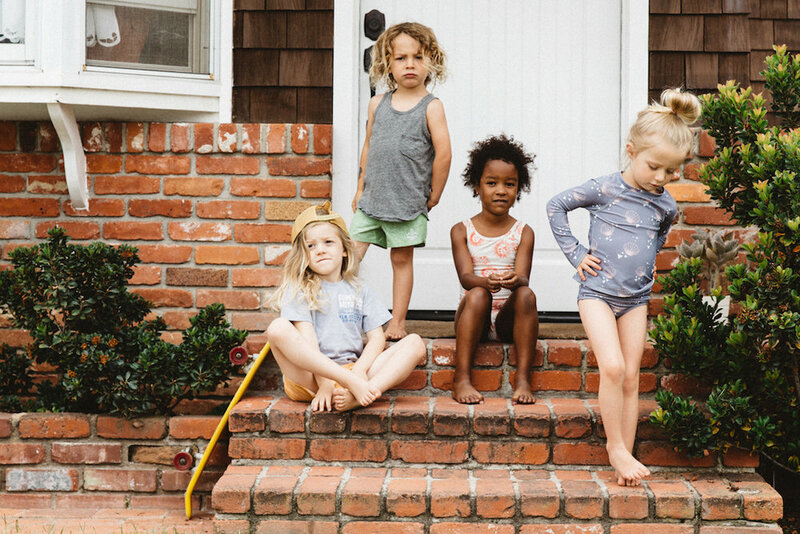 Photos from our Dawn Patrol Lookbook by Taryn Kent.